SAN FRANCISCO -- Waymo’s self-driving test vehicles are relying less on humans and are miles ahead of the pack when it comes to driver takeover rates, requiring a human take the wheel at about one-thousandth the rate of some competitors. On Wednesday, the California Department of Motor Vehicles released its second annual summary of autonomous vehicle driver disengagement reports -- defined as situations where a human must intervene while the car is in driverless mode. 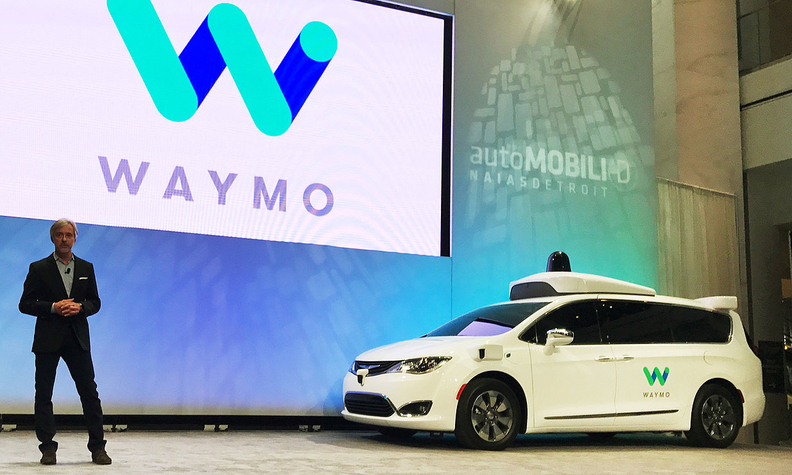 Waymo, the stand-alone self-driving technology company spun out from Google, reported a decrease in the rate of driver takeovers from 0.0008 per 1.6 kilometres driven in 2015 to 0.0002 in 2016. “We’ve been able to make dramatic improvements to our technology because we use each of these disengages to teach and refine our car,” wrote Dmitri Dolgov, Waymo’s head of self-driving technology, in a blog post. Disengagement does not mean the vehicle crashed, and it can be caused by situations such as weather conditions, construction zones or other events the technology cannot evaluate. The California DMV requires all companies testing autonomous vehicles in the state to submit reports detailing every situation in which a driver must disengage the self-driving software. BMW, General Motors, Ford Motor Co., Nissan Motor Co., Mercedes-Benz, Tesla Inc., Robert Bosch and Delphi Automotive also reported their vehicle testing data, though none has conducted public road testing in the state at the same scale as Waymo, which reported 1,023,330.2 kilometres of autonomous testing between December 2015 and November 2016. The summary also marks the first report of Tesla testing self-driving vehicles on California roads. The company operated four test vehicles driving 885 km in autonomous mode in October and November, with 182 disengagements -- a rate of 0.33 driver takeovers per 1.6 km driven. In its report, the company said it performs vehicle tests in laboratories, test tracks and public roads worldwide. In October, Tesla said it was adding hardware with self-driving capability to its vehicles, and CEO Elon Musk said the company would perform a completely self-driving trip from Los Angeles to New York by the end of this year. GM, which acquired the self-driving technology startup Cruise Automation in March, reported about 16,117.6 autonomous kilometres driven between June 2015 and November 2016, with 284 disengagements, a rate of .03 takeovers per 1.6 km. Ford reported that it operated one self-driving test vehicle in March, completing 949.5 autonomous km with three takeovers, a rate of 0.005 per 1.6 km.